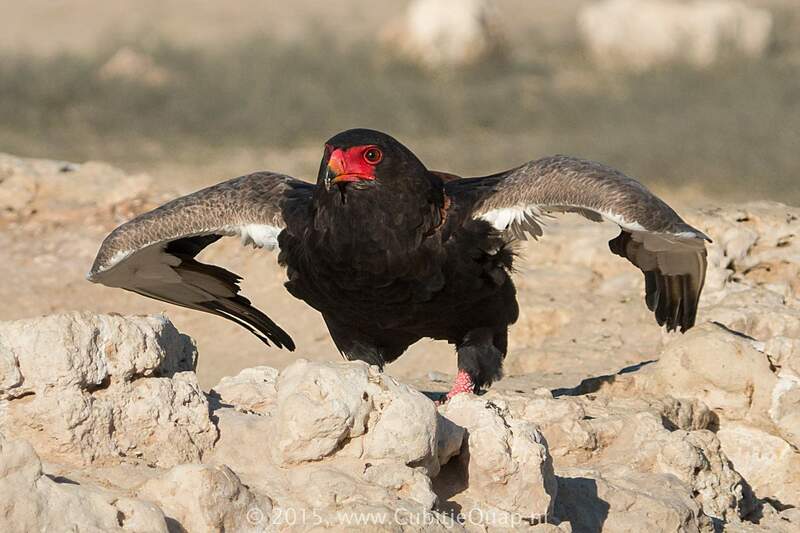 prey, they enjoy the sun and spread their wings like solar panels to absorb the sun's rays. 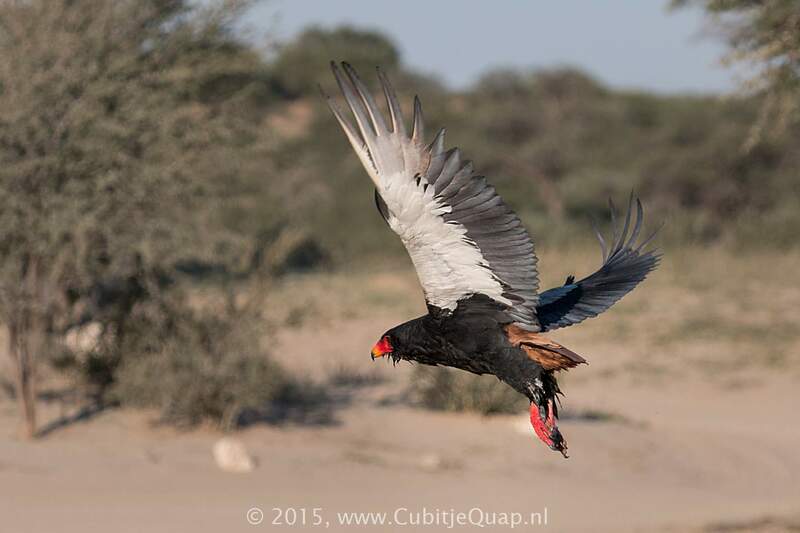 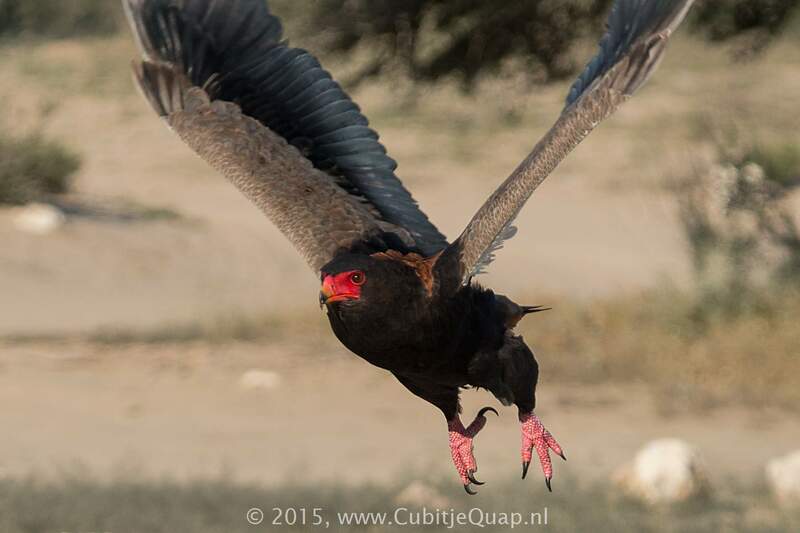 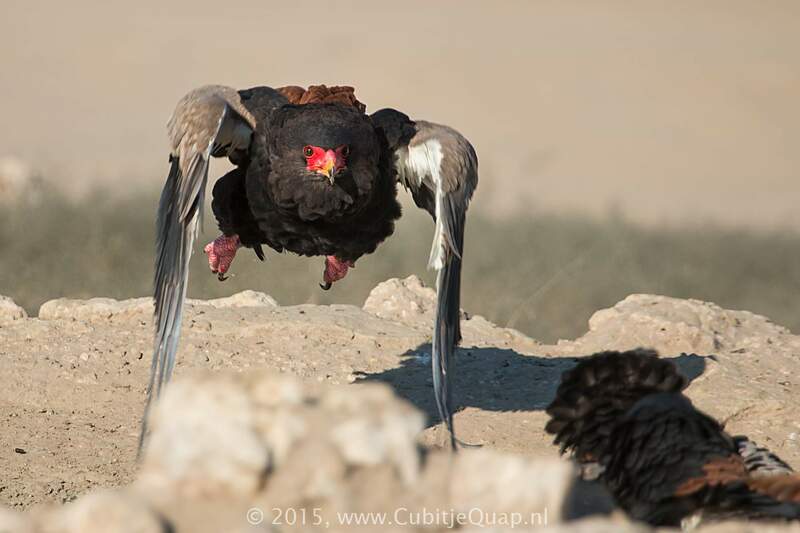 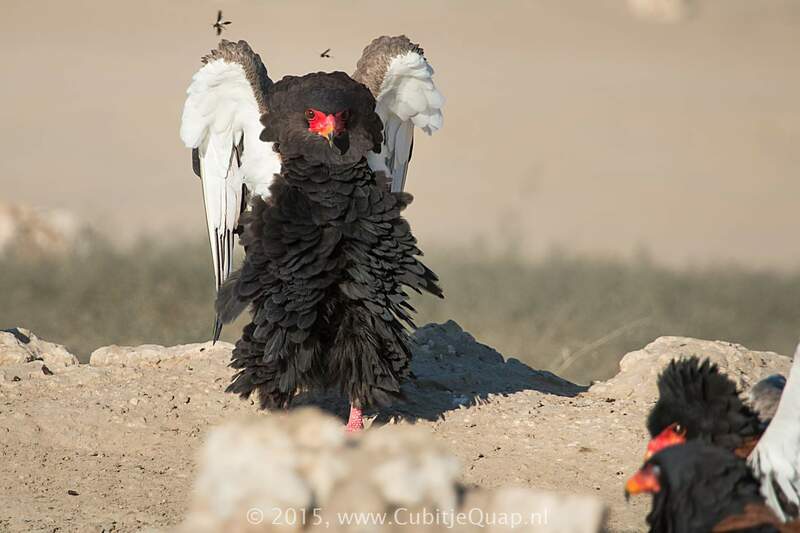 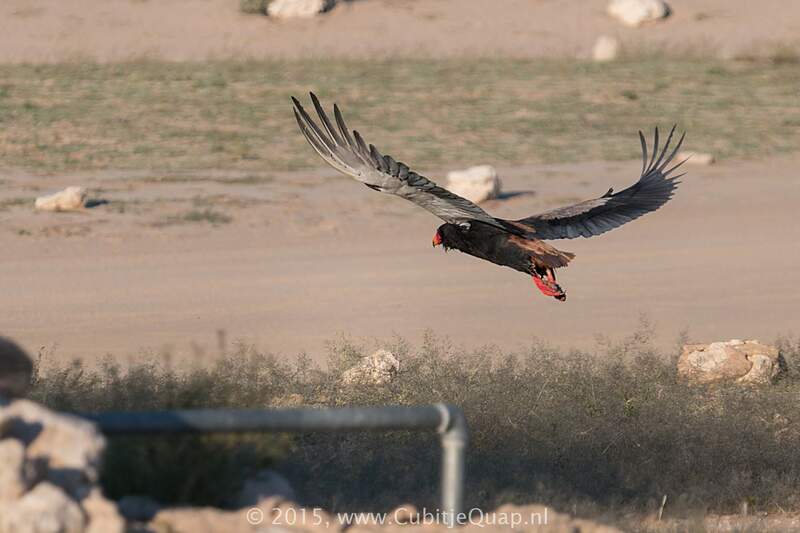 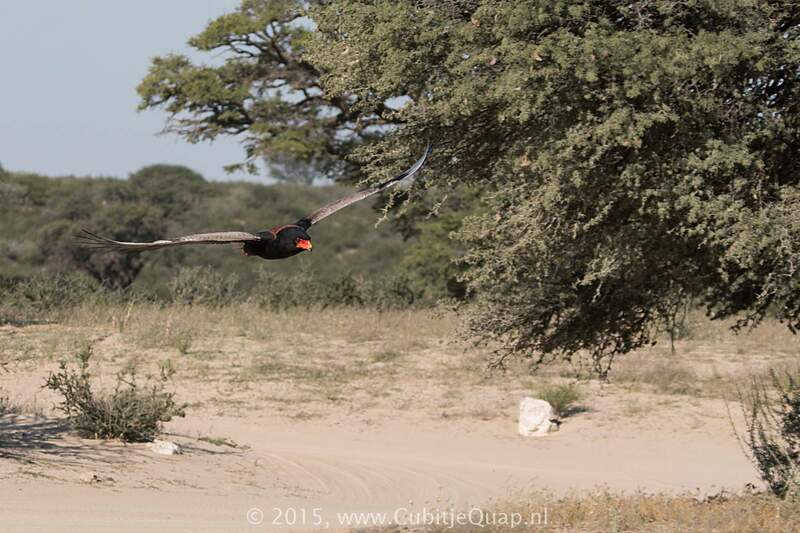 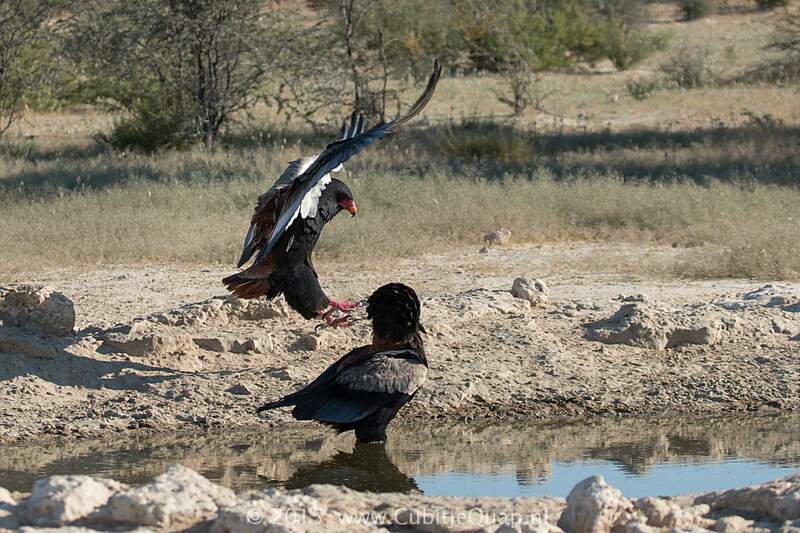 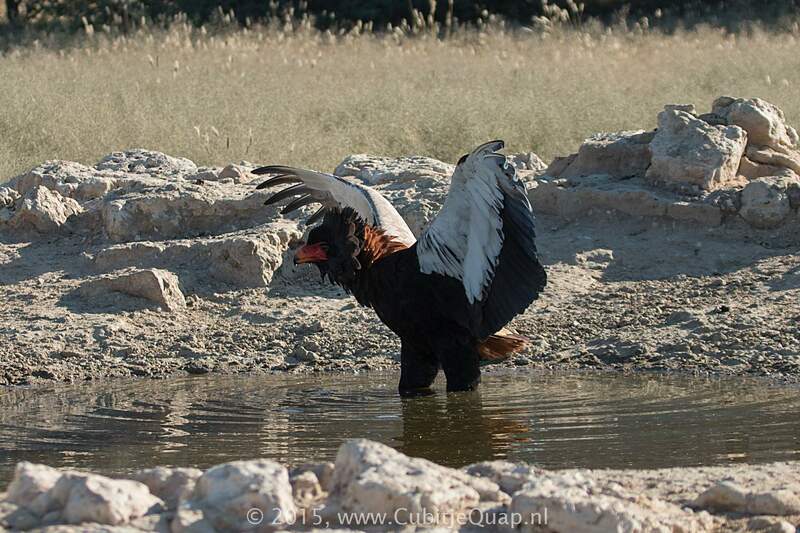 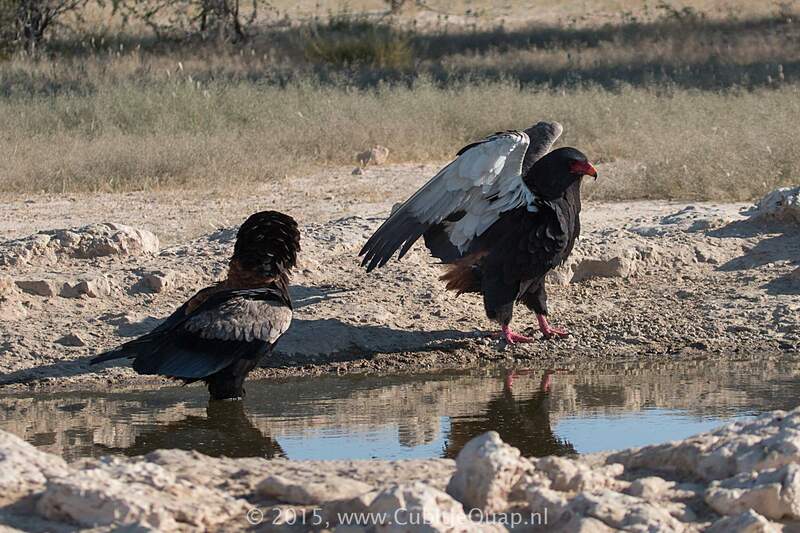 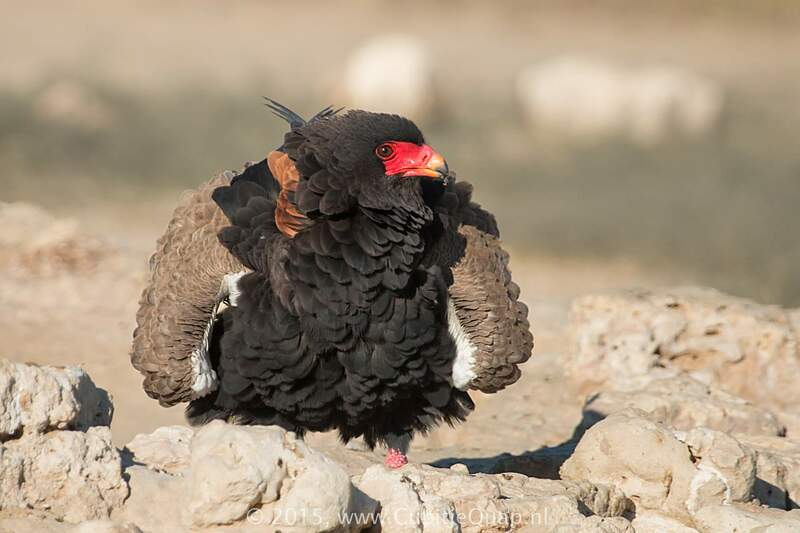 Bateleur eagles pair for life and stay in the same nest for several years. 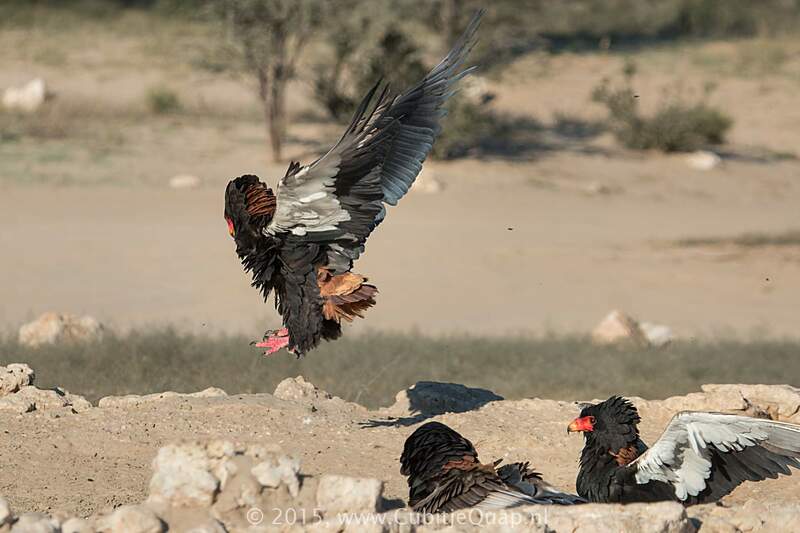 Unpaired adults can sometimes be seen near a nest site. 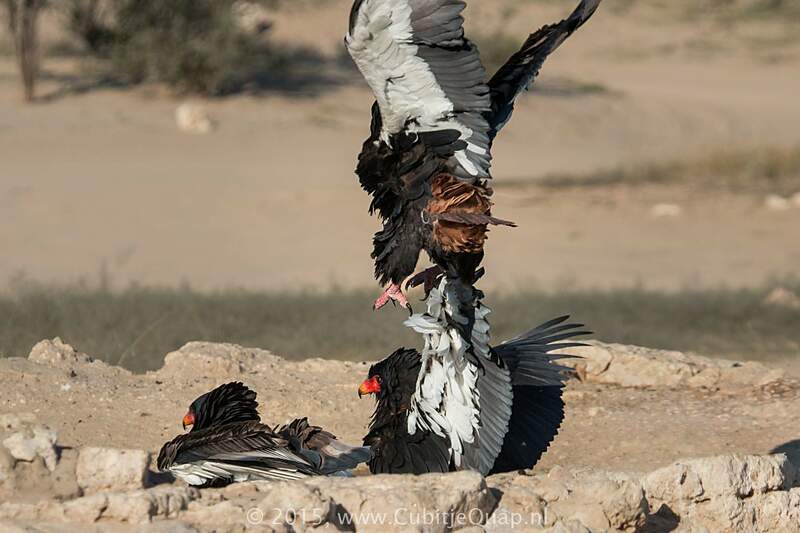 The unpaired bird is not rejected by the mating pair but it does not help with nesting. 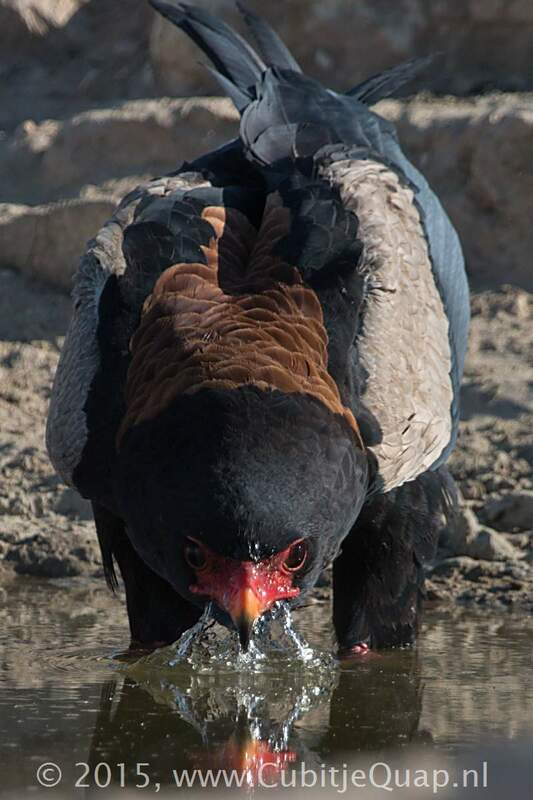 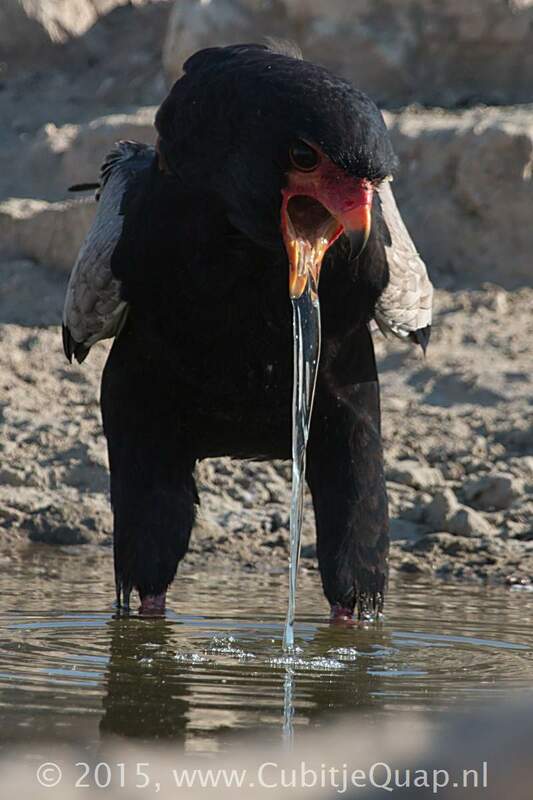 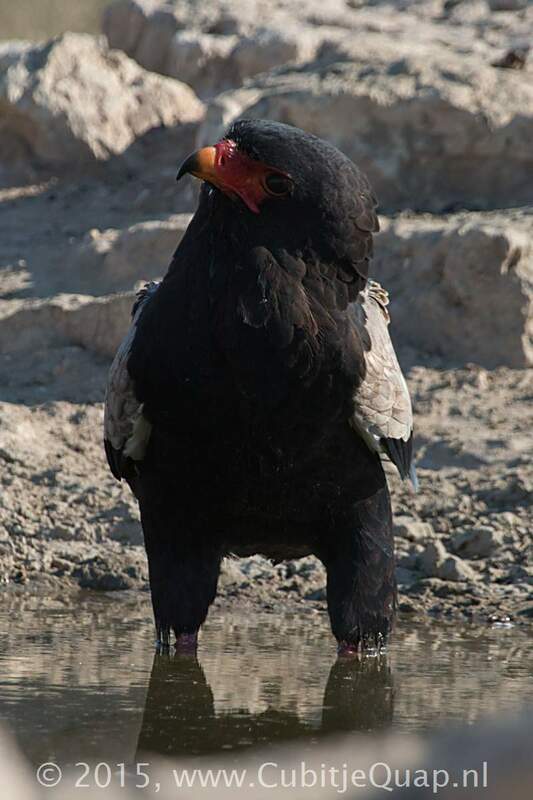 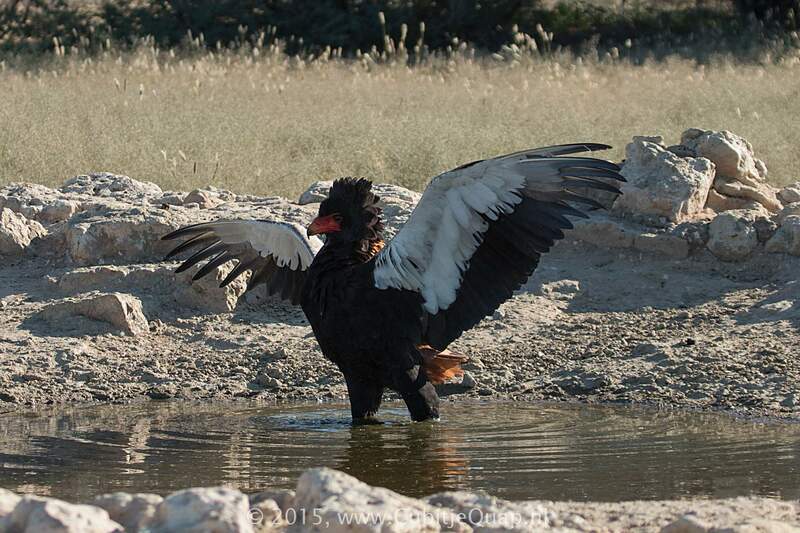 Bateleur Eagles are mostly silent birds, but when they do emit sound, it is a harsh "kau kau kau", generally followed by "koaagh koaagh". 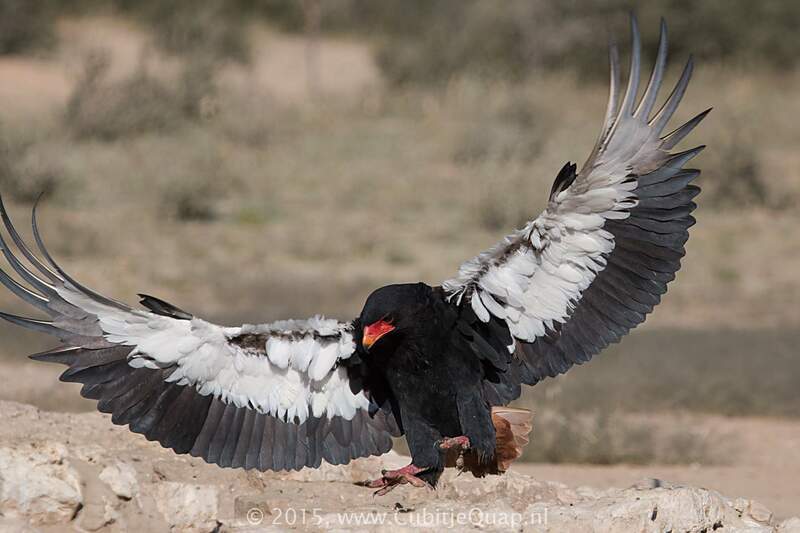 Simultaneously they will lift their half-open wings as part of a territorial display.